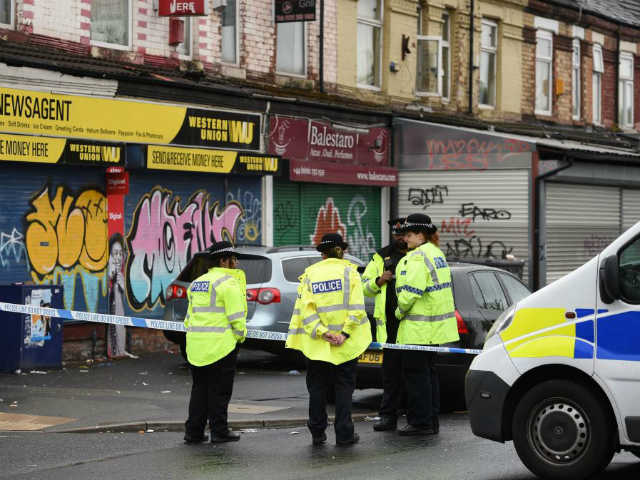 Armed officers were called to Claremont Road, Moss Side at 2:30 a.m. on Sunday and found a number of people suffering injuries which ranged from minor to major. Greater Manchester Police (GMP) said large groups of people had been brought to the area by afterparties following the opening day of the city’s annual Carnival, described as a “vibrant celebration” which promised to bring “Caribbean culture to the forefront” over the weekend. “Those living or visiting the area will understandably be concerned by this incident and we will have extra officers patrolling the area throughout the morning and into the coming days,” added the Superintendent. Despite Britain having what the BBC boasts are “some of the toughest gun laws in the world”, with law-abiding citizens barred from carrying firearms or any other articles for self-defence in England, Scotland, and Wales – even pepper spray is prohibited – gun crime surged 11 per cent in the last year, with experts warning illegal weapons are “easy” to buy from a black market.